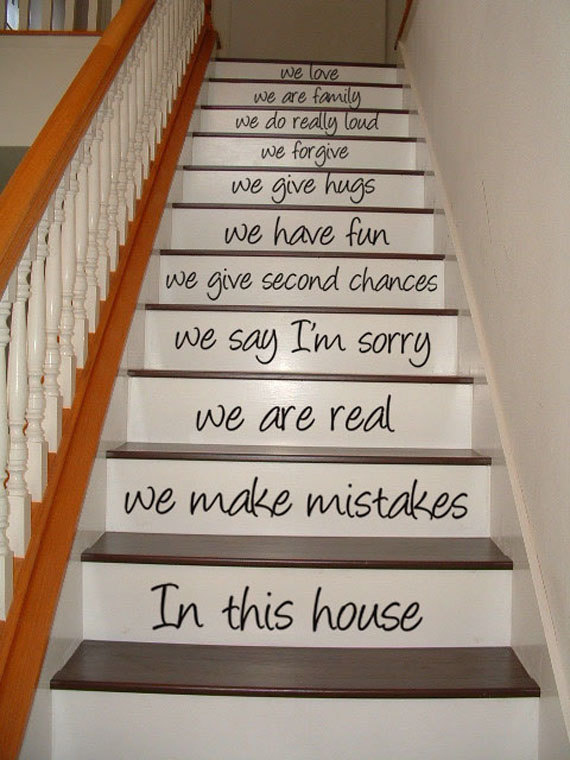 You can’t think how to update your dated staircase? 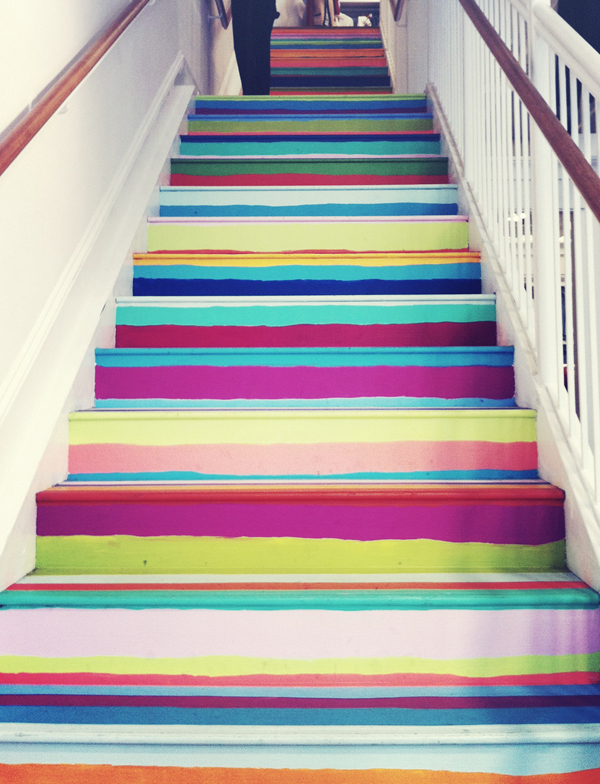 We have 10 ideas how you can decorate your old stairs to have fantastic new feeling. Don’t miss this cool opportunity. 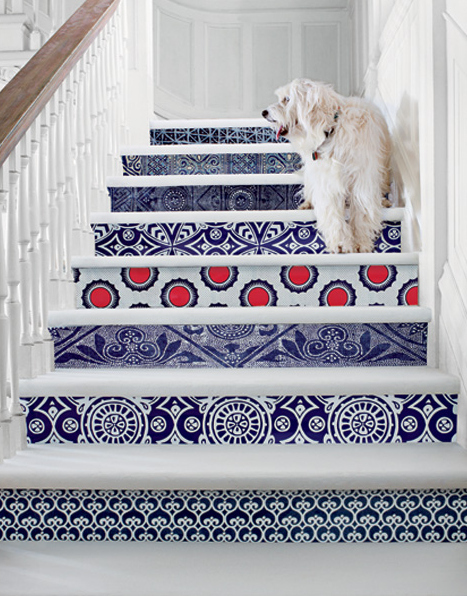 Paste wallpaper to the riser of each stair— switching up patterns makes it extra eye-catching. Wonky painted stripes add color and character. 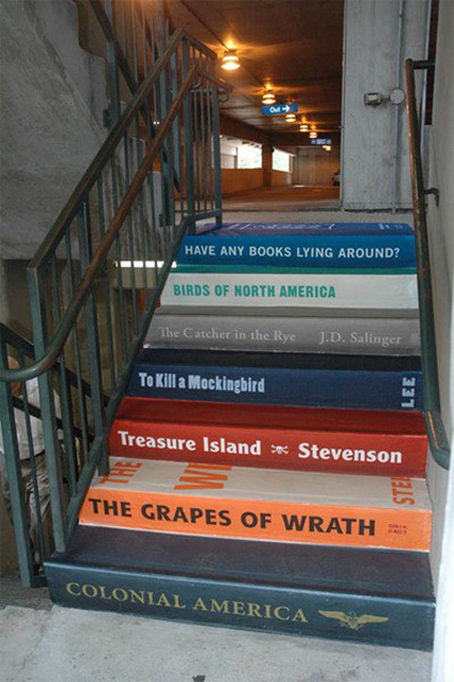 If you’re a seriously skilled painter, depict your favorite books on each step. 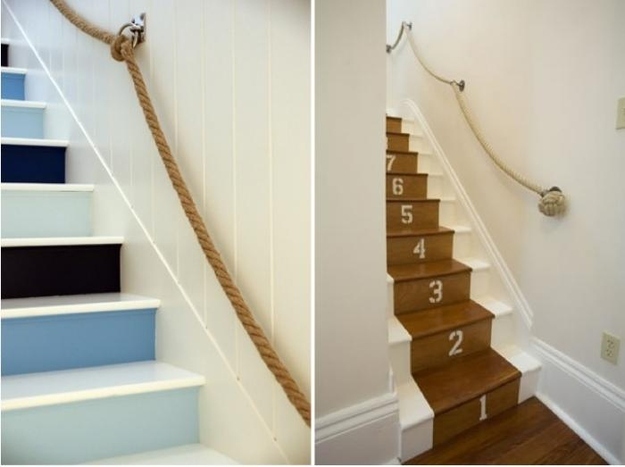 Use door knockers to secure the rope. Via Jonathan Adler (left) and Bockman + Forbes Design (right). © 2016-2019 StairsIdeas.com All rights reserved.